Vitamin K is the generic term for a family of fat soluble essential vitamin compounds that play an important role in bone and cardiovascular health. 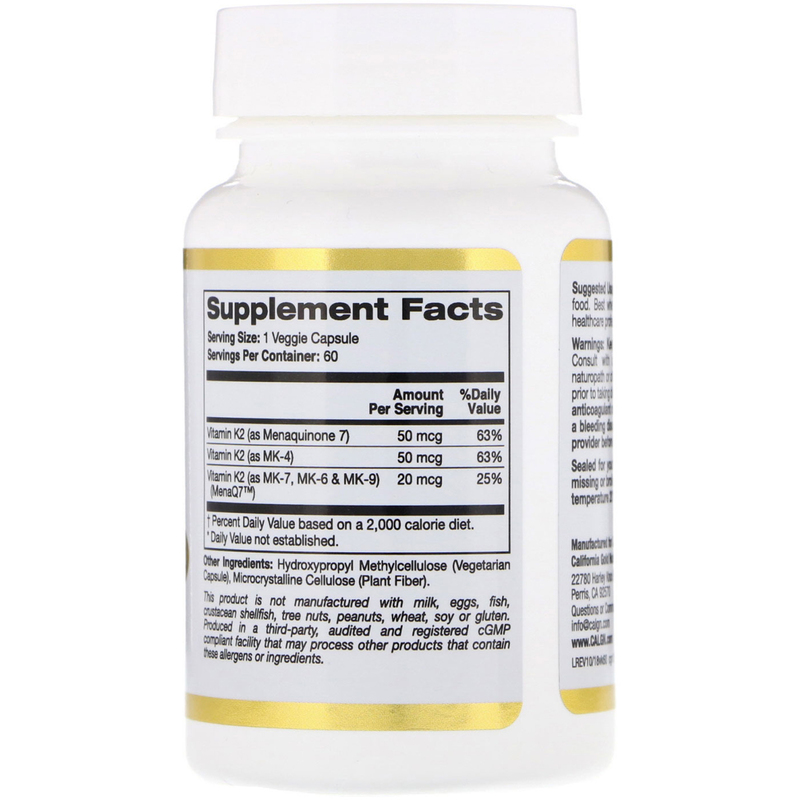 * Vitamin K2 refers a group of compounds called menaquinones that are part of the Vitamin K family and are the most well recognized for their health promoting value and bioavailability. California Gold Nutrition Full Spectrum Vitamin K2 contains a blend of menaquinone compounds: MK-7, MK-4, MK-6 and MK-9. Each MK compound is produced from a fermentation process in which the end result is soy free. MenaQ7® is sourced from naturally fermented chickpea protein that research has shown to be long lasting, bioactive and bioavailable. 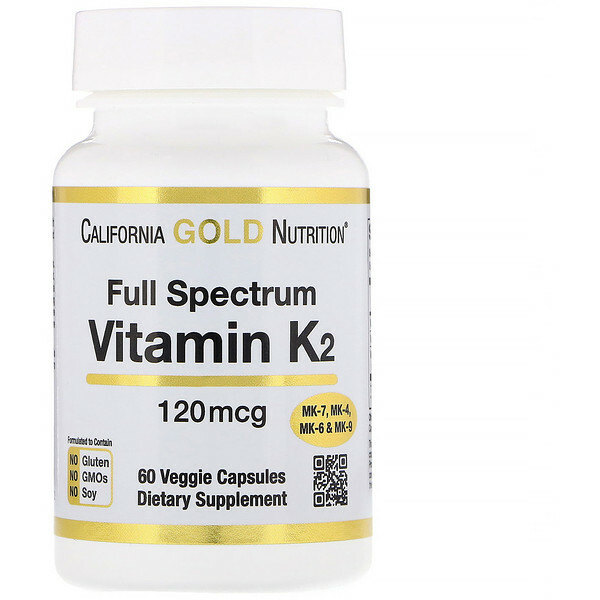 iHerb Blog: What are the Health Benefits of Vitamin K2? 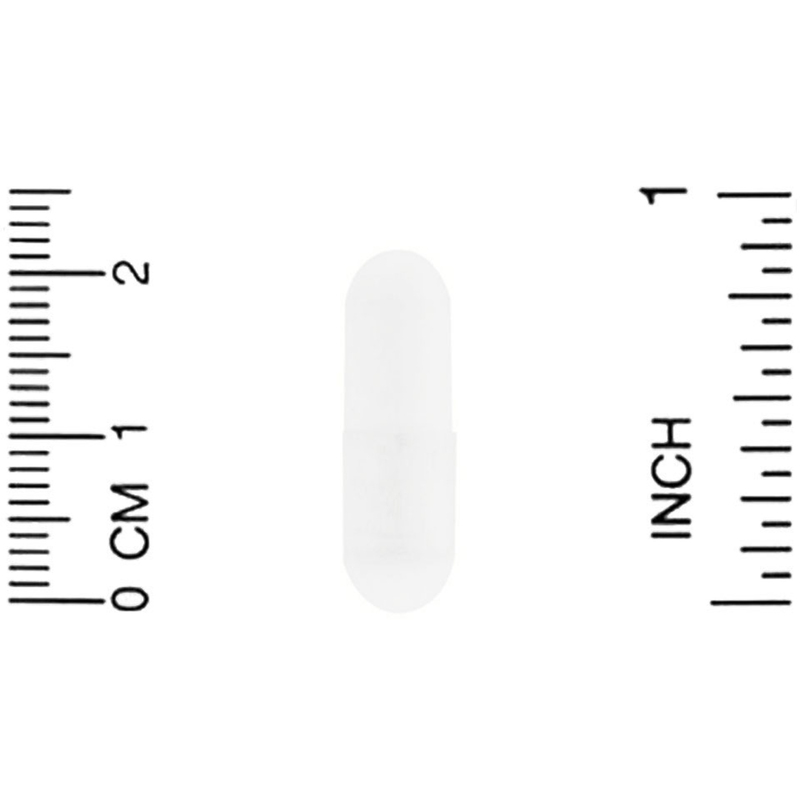 Hydroxypropyl Methylcellulose (Vegetarian Capsule), Microcrystalline Cellulose (Plant Fiber). Keep out of the reach of children. Consult with a licensed physician, pharmacist, naturopath or other qualified healthcare professional prior to taking dietary supplements. If you are taking anticoagulant or antiplatelet medications, or have a bleeding disorder, consult with your healthcare provider before taking this product. Sealed for your protection. Do not use if seal is missing or broken. Best stored at controlled room temperature 20°C to 25°C (68°F to 77°F).